When Federation Force was first announced at E3 last year, it was met with naught but contempt - even from myself. Players slandered the ridiculous character models, generic FPS gameplay, and the strange focus on the Blast Ball football-esque minigame; it almost looked as if it was a parody of the original series and a complete insult to it's legacy. However, this latest Direct trailer has shown it to be a little more worthwhile. While the FPS gameplay doesn't look like the most innovative thing to come from Nintendo, the RPG elements injected into it seem quite interesting - for example, how throwing healing capsule items at an AI companion will make that companion more of a healer/first aid assistant as the story moves forward, as just one example given in the Direct footage itself. This blend of choice and consequence is something becoming more common in some games and it's nice to see it being approached within the FPS genre. I'm still not big on the art style, however, which includes some weird, cartoony alien villains, and the same absurd, big headed character models that will just never grow on me. I'm more fond of it now that more has been shown and elaborated upon, but it still isn't something I'm stupidly excited for. Outside of the 2015 mashup game Mario & Luigi: Paper Jam, the Paper Mario series has been dormant since 2012, when Sticker Star hit the 3DS to generally positive critical reviews, though many fans weren't impressed. Criticism arose over the simplified formula, lack of story, and constant need to backtrack, which felt dramatically out of character for an RPG series that had previously been known for it's extensive layers of depth and creativity. 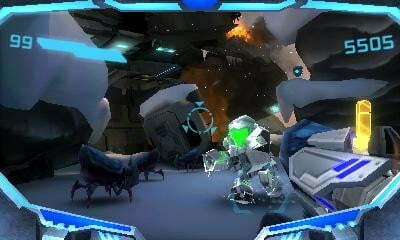 Colour Splash has got many people enraged as it seems to replicate some aspects of the Sticker Star gameplay, including a world map feature that segments areas into small stages instead of large landscapes, a seeming lack of varied characters, and a turn based battle system that again stows away with action commands, badges, and other previous trademarks. The story will have Mario journeying to Prism Island, a world drained of it's saturation which he must rescue with his new paint hammer, a weapon that allows him to splash paint of many colours wherever he goes; this can be used to restore damaged landmarks and rescue other characters. Battles will utilise the GamePad to let players paint a variety of cards that can then be used to perform all sorts of attacks, each with their own unique effects, animations, and levels of attack power. It may not quite be the HD sequel I wanted to see for The Thousand Year-Door, but for now I am intrigued by it's gameplay structure, and we can't just judge it completely from the small dose of footage shown. One thing's for sure, the visuals are absolutely beautiful in every way, from art design to overall rendering. Definitely the perfect example of how a HD Paper Mario game should look, and something that Nintendo nailed 100% without a doubt. I already covered my initial thoughts on the latest Star Fox game when it debuted at E3 last June, but now we've finally got the full extent of it's gameplay and narrative characteristics ready for it's launch this April. Zero will return to the classic shooting gameplay that Star Fox boasted in the first place; it harkens back to the original days with cheesy voice acting (in a good way), chaotic space battles, and, of course, barrel rolls. Zero also brings new depth into the formula with an inclusion of multiple paths to explore, allowing the gamer to decide which way they want to go on their quest. I've never been a huge Star Fox fan, though Star Fox 64/Lylat Wars was admittedly one of my favourites on the system. Zero's visuals, surprisingly, didn't impress me a great deal - I don't know, maybe I just sound a bit pompous, but they looked a little outdated and fuzzy. Perhaps it was the video quality. Who knows. Art wise, however, it looks fab, with some great character models and stage backdrops. Certainly should be good fun and a worthy sequel that fans have been craving for many years. 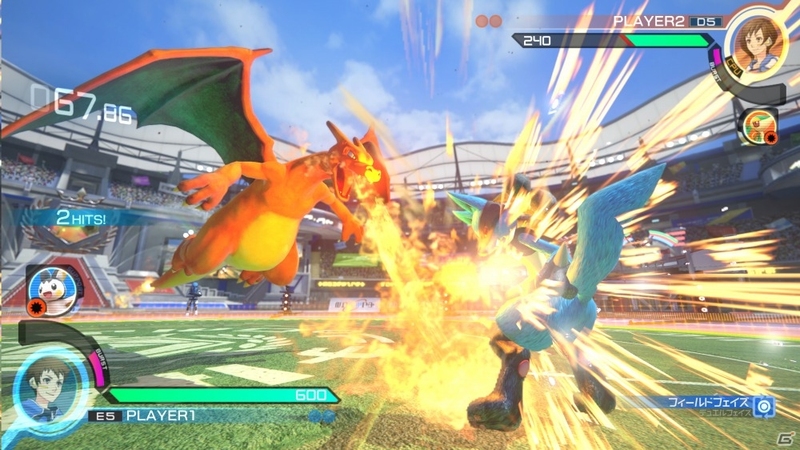 A bizarre but pretty awesome fusion of Namco's Tekken franchise and, of course, Pokémon, Pokkén Tournament originally launched as a Japanese arcade game in July 2015, and didn't do as well as expected on a commercial basis, leading to a short lifespan in many arcade parks. The game is now set to be ported to Wii U and launched worldwide in just two weeks time; it'll feature the same gameplay, albeit with some new features that utilize the GamePad, Nintendo Network connectivity, and, of course, good ol' Amiibo. Players begin in the lower leagues and work their way up with each victory, gaining in game currency in the process that allows them to access new Pokémon companions and customizations for their avatar. Each Pokémon, much as with the games, has different stats, strengths, and weaknesses; some are fast but not as strong, whilst some are incredibly powerful but not as capable of dodging or manuevring with such ease. Each Pokémon has their own unique attacks, be it the use of projectiles, beams, or just brute physical force, and so it looks like there's plenty of variety for players to find what appeals to them the most. There's also an array of special attacks that feature the Mega Evolutions of certain characters; and, to be blunt, Gengar's is pretty damn terrifying. I've never been the biggest addict of fighting games outside of Smash Bros., but I'll more than likely be giving this a try. There was plenty of other things to love at this latest Direct offering, be it Kirby: Planet Robobot, some interesting Splatoon updates, Hyrule Warriors Adventures, and, of course, the HD remastering of Twilight Princess. Give it a watch if you haven't already; 2016 looks like it may be one of the better years for Nintendo after some recent slumps.